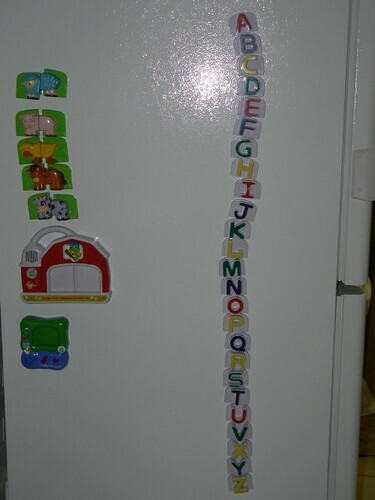 hah that reminds me of my refrigerator, except some of the animals are missing their bottom half! Renee Garcia’s last blog post..Seriously?! Fun idea, you had all saying our ABC’s! Uh, is this the Techy Dad April Fools Day takeover? kim/hormone-colored days’s last blog post..Marketing to Moms: Announcing my BlogHer sponsor! Where is the W? We have that same Fridge Farm toy except my kids lost all the pieces! I make a tabouli salad with quinoa for Pesach (well, I also make it during the year) and everyone LOVES it. Clever photo! We’d love to hear the story behind it and really hope you’ll participate in this week’s Tell Me Thursday meme.